Demographers play a vital role in documenting and explaining adult mortality patterns and trends so that policymakers have a credible scientific base from which to improve health and increase life expectancy. Consistent with that role, this chapter reviews the complex set of demographic, socioeconomic, social, behavioral, geographic, environmental, and biological factors that shape adult mortality patterns, risks, and causes, with a geographic focus on the United States. While the United States has witnessed remarkable declines in adult mortality over the past century, it has experienced increases in middle-aged mortality over the past several years and ranks poorly relative to other high-income countries. Given the key points made in this chapter, we conclude that future reductions in U.S. adult mortality rates will depend upon reductions in obesity, tobacco consumption, drug and alcohol abuse, violence, physical inactivity, and racial and socioeconomic inequality. We thank the Eunice Kennedy Shriver National Institute of Child Health and Human Development (NICHD grant 1R01HD082106) for research support; the NICHD-funded University of Colorado Population Center (Award Number P2CHD066613) and the NICHD-funded Carolina Population Center (Award Number P2CHD050924) for administrative and computing support. The content of this manuscript is solely the responsibility of the authors and does not necessarily represent the official views of NIH or NICHD. Ahmad, F.B., and Bastian, B. (2018). Quarterly provisional estimates for selected indicators of mortality, 2016-Quarter 4, 2017. National Center for Health Statistics. National Vital Statistics System, Vital Statistics Rapid Release Program (https://www.cdc.gov/nchs/nvss/vsrr/mortality.htm). Etherington, N. (2003). War, demographic consequences of. 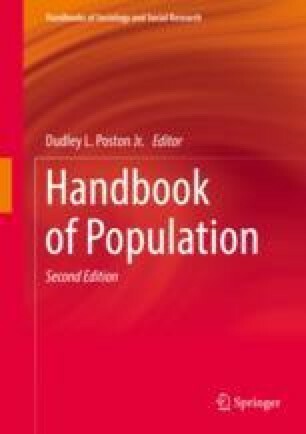 Encyclopedia of Population, edited by P. Demeny and G. McNicoll, Vol. 2, pp. 963–966. New York, NY: Macmillan Reference. Gale Virtual Reference Library (http://link.galegroup.com/apps/doc/CX3403900330/GVRL?u=coloboulder&sid=GVRL&xid=cdef1a5a). Accessed May 11, 2018. Gun Violence Archive. (2018). Mass Shootings – All Years http://www.gunviolencearchive.org/. Washington, DC 20036. Accessed June 12, 2018. Muenning, P., Rosen, Z., Johnson, G., Smith, T. W., & Son, J. (2016). “Codebook for the 1978–2010 General Social Survey linked to mortality data through 12/31/2014 via the National Death Index.” New York, NY: Columbia University. Available at: https://static1.squarespace.com/static/57455384555986dec9a779bc/t/58e7b096db29d6655bea0268/1491579035628/2016+GSS-NDI+Codebook+FINAL+3+20+17.pdf. Retrieved on 2/15/18. National Center for Health Statistics. (2016). Healthy people 2020 midcourse review. Hyattsville, MD. (Available online at https://www.cdc.gov/nchs/healthy_people/hp2020/hp2020_midcourse_review.htm). National Center for Health Statistics. (2018a). Data linkage resources by NCHS health surveys. Hyattsville, MD: Public Health Service. Available at: https://www.cdc.gov/nchs/data/datalinkage/LinkageTable.pdf. Retrieved on 6/11/18. National Center for Health Statistics. (2018b). Early release of selected estimates based on data from the 2017 National Health Interview Survey. Available at: https://public.tableau.com/profile/tina.norris#!/vizhome/FIGURE8_1/Dashboard8_1. Retrieved on 6/28/18. National Opinion Research Center. (2018). About the GSS: An introduction to the General Social Survey. Chicago, IL. Available at: http://gss.norc.org/About-The-GSS. Retrieved on 6/19/18. Population Reference Bureau. (2017). 2017 World population data sheet. Washington, DC: PRB. Available at http://www.prb.org/Publications/Datasheets/2017/2017-world-population-data-sheet.aspx. Retrieved on 1/13/18. Wilmoth, J. R., Andreev, K., Jdanov, D., & Glei, D.A. (2007). Methods protocol for the Human Mortality Database, Version 5. Available at: https://www.researchgate.net/profile/Michael_Bubenheim/publication/241173442_Methods_Protocol_for_the_Human_Mortality_Database/links/02e7e52879cc1b65c2000000/Methods-Protocol-for-the-Human-Mortality-Database.pdf. Retrieved on 2/21/18.